Finally I got an opportunity to read this year’s Man Booker’s Prize winner (in fiction category), The Narrow Road to Deep North is written by an Australian author Richard Flanagan. It revolves around Dr Dorrigo Evans who is haunted by his days in the PoW camps in Burmese and Western Thai jungles during 2nd World War. He, along with group the of prisoners from Australia were slaved by the Japanese army, who were trying to set-up an impossible mission of building a rail network in the dense rain forests. The narration shifts between different timelines as Dorrigo’s love affair with his uncle’s mistress is unfolded (Her name is Amy and she reminded me of an Amazing Amy from Gone Girl). Between these parallel narrations, you see a broken man who is struggling with diseases, cruelty and fear of death for himself and his fellow soldiers in the war front and on the other hand,a love affair circled around hopelessness and impossibility. One can’t complain much after reading about the plot of the book but to be honest, it is not an easy read. The narration is very flat and mundane. The shifts in the timelines are too regular that can take toll on your character adjustments. The parts of book that deals with violence and deaths are very vivid. The romance and struggle between young Dorrigo and Amy is one of the best parts of the book. Like Life of Others, this book refuses to catch the pace. While reading it, I often wondered how author is going to cover so much that he had opened with these limited pages and with the pace he has maintained. Also I felt that Flanagan left an emotional void in his narration, sometime sounding too detached with the larger conflicts of the characters. The danger with the plot that includes war and complex love affairs is that an author can get carried away and becomes too philosophical at times, which was evident in this book as well. However, taking nothing away from him, I think it is a nice read, if not worthy of a major literary award. The tittle of the book is borrowed from the Japanese Haiku that is about the impossibility of love. 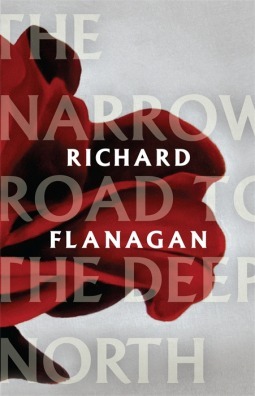 I gave The narrow road to deep north by Richard Flaganan 3/5 stars in the goodreads. Thank you for the review, makes me want to stay away from the book!